Over the last few years Skunkworks has made a conscious effort to optimize our client websites for speed. Why? Because speed matters. And coming this July, it will matter even more as Google begins rewarding faster websites with better rankings. Google now considers websites in two ways. As a website visitor on a mobile device. As a website visitor on a computer. Why do they look at the same thing in two ways? Because each can be its own unique experience and Google wants to be the best at lining people up with the most relevant results, with the best experience, at any time, and at any place (on any device). Google is primarily concerned with two aspects when it comes to indexing and ranking. User data tells us that trends in mobile use to search for information continue to rise. Because a website’s content can potentially be drastically different on a phone versus a desktop, Google has started indexing with the assumption that people are more likely to be viewing your site on mobile devices. In other words Google will consider sites with the mobile device’s view of it as the higher priority for indexing and a desktop version of the same site as a bonus factor. If you want much more details on this click here or here to learn more. Think back to the last time you were looking up something on your phone and had to wait for the page to load for 10+ seconds. Was it frustrating? Annoying? Did you give up and click the back button? All of the above? People are impatient. They want something, and they want it now. While page speed is important for your SEO, it is even more important for your user experience, conversion, and general customer happiness. 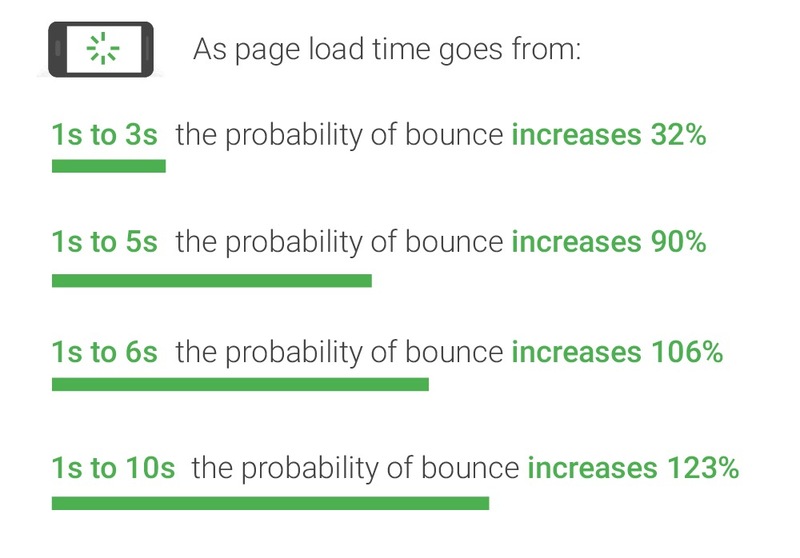 Pages with a longer load time tend to have higher bounce rates and lower average time on page. Longer load times have also been shown to negatively affect conversions. In addition, a slow page speed will hamper Google’s efforts to index your site’s pages. Google has indicated site and page speed is one of the signals used by its algorithm to rank pages. People want to be able to find answers to their questions as fast as possible — studies show that people really care about the speed of a page. Although speed has been used in ranking for some time, that ranking signal was focused on desktop searches. Today we’re announcing that starting in July 2018, page speed will be a ranking factor for mobile searches. So why is Google suddenly so concerned about speed and springing this on us now? This is not sudden. Google has been loudly working towards the goal of a faster internet since 2010. Ok, maybe that’s a little dramatic. 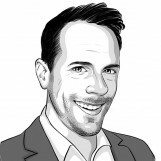 Your slow website won’t actually die. But it may be pushed back to page 2 or 3 of Google’s search results while your faster competitors dominate page 1. In 2013 Google announced they would start penalizing slow sites. In 2018 they will start rewarding the fastest sites. If you’re a retainer or maintenance client with Skunkworks, we’ve already been hard at work making sure your site is ready and visitors are served your website as quickly as possible. Even a site built years ago when speed was not as much of a consideration can be updated to be more efficient for 2018 and beyond. What makes a fast website? Language – The programming language used has a very big effect on website speed. HTML and PHP are the most common languages used for websites. The newest thing these days is a variant of HTML called AMP HTML which is extremely fast. Minification – Code’s file size can be reduced by removing unnecessary spaces and line breaks. Image sizes – An image’s file size can often be reduced by 50% or more through special optimizations. This means faster downloads. RAM – More memory on the server is better. CPU – A faster brain of the server is better. Software – Not all servers are using the newer/faster (and more secure) software. php version – The software that runs WordPress has had MANY performance improvements over the years. Apache and Nginx – The software used by servers to serve websites has improved considerably in recent years and makes a very large difference in website speed. Configuration – The way the server is set up. Caching – Caching prevents downloading assets repeatedly unneccesarily. Compression – Files can be sent to the visitor in a compressed format that downloads more quikly. DNS – The Nameservers for the domain should be as fast as possible. Unfortunately the majority of websites used underpowered Nameservers. CDN – A Content delivery network helps ensures visitors are downloading the website as quickly as possible. Remember that just because a site built 5 years ago is fast now, doesn’t mean it isn’t time for a refreshing update. There’s only so far performance can go in getting your phone to ring. Talk to your Skunkworks Account Manager to verify the current state of your website and receive any critical recommendations. Many improvements can be made relatively quickly without re-doing your entire website and will also benefit any future iterations of your website. The majority of our clients are already in good shape but there are a few stragglers that we are itching to rescue. Remember: Being proactive to changing technology is always better than being reactive and being left behind.